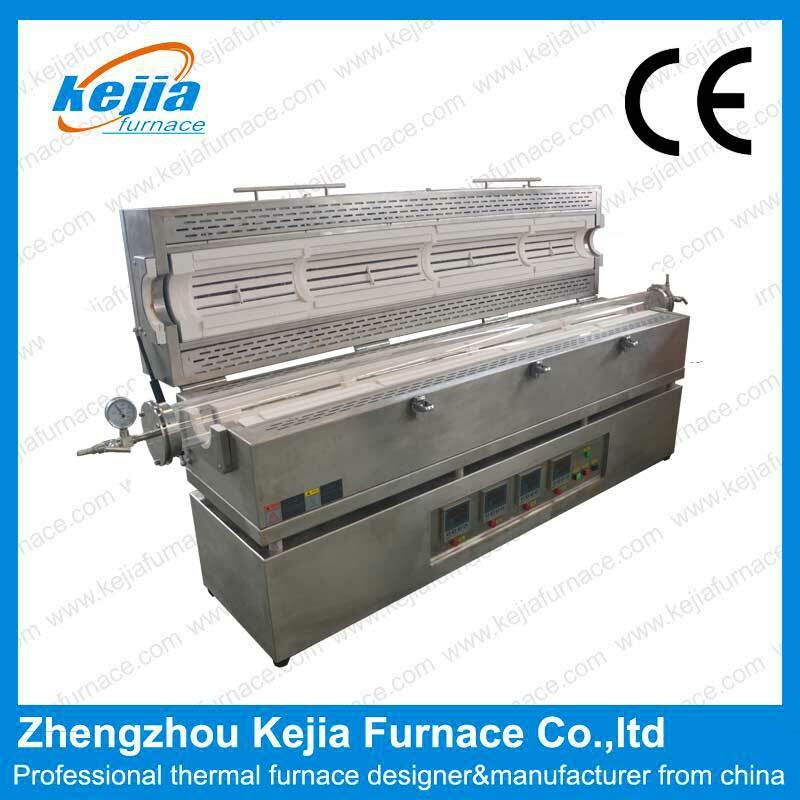 Description:1200 degree four zone Tube Furnace uses Resistance Wire as heating element. Max. temperature inside furnace can be reached at 1200℃ under vacuum or flowing gas. The furnace temperature profile can be set up by 30 segments and run automatically by the 708P type advanced temperature controller. It is excellent for material research, ceramic research labs to develop various new materials. 1. Operating temperature: 1100 ℃, (1200 ℃ short). 3. Heavy-layer structure having a cooling fan. Teperature in external circumstances. 4. PID phase angle via a current limiting resistor automatically controlling the firing, for example, SCR (silicon controlled rectifier). The power supply control section 30 or 50 programmable. Note: There are different processing chambers (tubes) sizes for you to choose.